Chicago Food Machinery Screw-type 5 lb (3L)Stainless Steel Sausage Stuffer attaches to any countertop surfaces. It comes equipped with 14mm, 20mm, 30mm and 36mm stainless steel sausage stuffing tubes, and easily dissembles for cleanup. The structure is made with a food grade strong carbon steel structure. 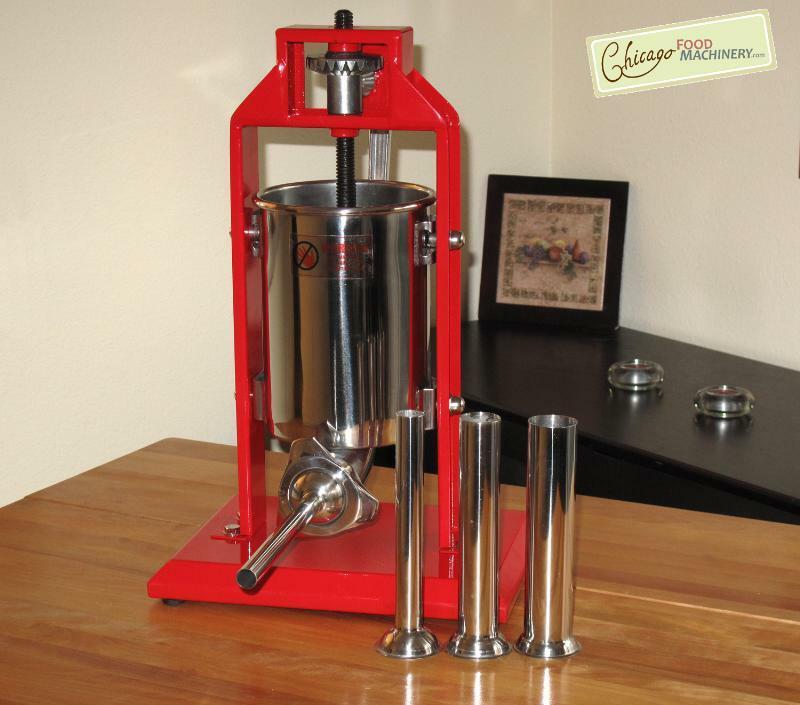 Chicago Food Machinery Screw-type 5 lb (3L)Stainless Steel Sausage Stuffer with comes with a 1-year Limited Manufacturer warranty.